A podcast about makers in and around Edmonton, Canada hosted by Royal Bison coordinator and maker Vikki Wiercinski. What is a maker, anyway? Is there an Edmonton style? What compels people to make things here? Thanks to our 2019 season sponsor: Edmonton Made! Check out all that they do to showcase the maker community. Industrial designer and ceramicist Molly McMahon of Stranger Design tells us about why Edmonton is a great place to make things, why her restaurant job helps with making ceramics, and takes us through all the different mediums she tried out before she hit the ceramics train. We also talk about “glazing ordeals”, helps us try to define what a maker is, what it takes to actually run the business side of making, Molly’s cat Cosmo makes a cameo - ceramics peeps, this one’s for you. This episode is all about the art world of smells. Yup, perfume. 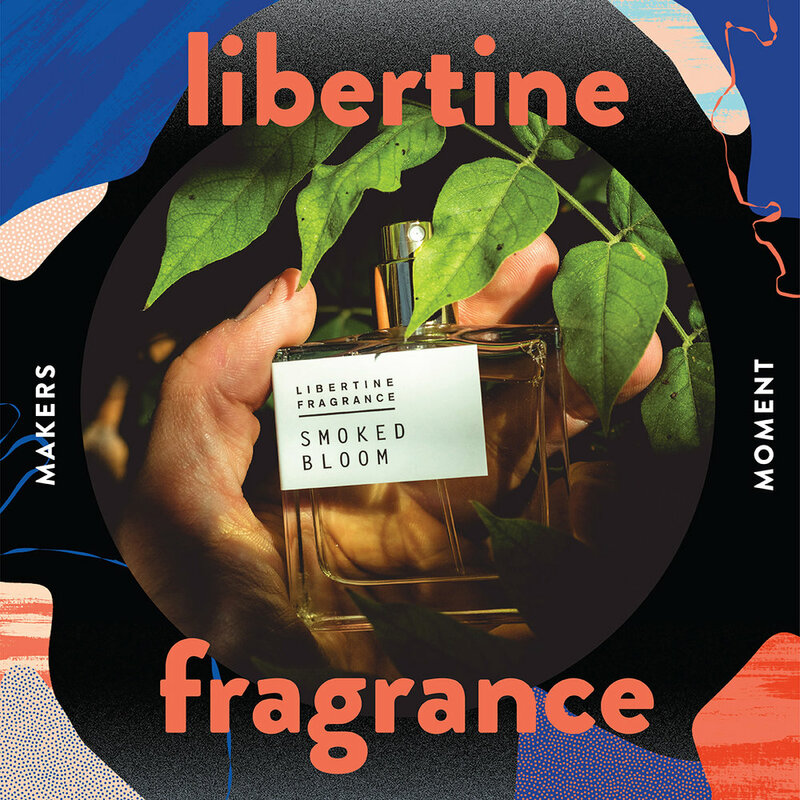 Josh Smith of Libertine Fragrance has been making scents for five years, since he made a perfume for a design school project. He tells us about the weird world of perfumes, the existence of scent reviewers (with YouTube channels! What!) the inspiration behind Josh’s perfumes (and a little history lesson on 19th century France). Josh tells us how perfume is a really good way to look at issues around sustainability and climate change, why we might all smell differently in the future. It seems simple, right - a maker is someone who…makes things? Wait - what kinds of things? Let’s try again: a maker is someone…who designs things? What does that even mean? Is it someone who crafts things? Who makes something with their bare hands? Who makes a lot of one type of thing? Is a maker also a designer? Is a maker the same as a craftsperson? Is a maker simply someone with an unshakable vision of knowing they can make an idea real, that possibilities can become reality? Where does making and deep-rooted culture collide? Does a maker make things for experimentation, for profit, for the joy of it? Wait, does a maker need to actually make or design a physical object, or can one find craft in the digital world, in all the 1’s and 0’s of the internet? What is their work life like? What’s their creative process? How do makers arrive at the things we enjoy so much? And is making sustainable? How hard is it? How long does it take to establish yourself? Can makers really dodge cubicle jobs by being makers? Can they do it forever? AND HOW DID IT HAPPEN THAT WE HAVE SUCH A STELLAR MAKER SCENE RIGHT HERE IN EDMONTON? I’m Vikki Wiercinski, and obviously, I’ve got questions. I’m a maker and designer myself, and I am also co-producer of the Royal Bison Art and Craft fair, and have watched the maker scene in Edmonton evolve into an amazingly vibrant scene over the last 10 years. I was part of the current maker scene from the beginning - as a newly minted graphic designer, I had an inspiration or two and the curiosity to make my ideas real. It turned out I was in the right place at the right time, plus I had the skills to create things and the inexplicable desire to pull all nighters printing designs on fabric. I sold my work, people liked it, and my fate was sealed. Almost a decade since I made my first textile and paper experiments and made multiples for sale, I’m wondering what just happened, and I’m asking my maker peers all about how we got here, and where we’re going now. Our snappy intro/outtro music is an original composition by Carbolizer. Many thanks to Karen Unland for the podcast workshop that started it all.